production: Motion Picture & General Investment Co. Ltd.
One of Hong Kong's most beloved classics is a warm comedy set in the late 1950s, a story of four sisters with four different characters. The spontaneous tomboy Hedy, the responsible Hilda, the sensuous, seductive Helen, and the sweet Hazel, represent the new generation of women, going through love dilemmas, looking for their own paths to happiness in the modernizing city. The leading roles are played by four stars with strong personalities and infectious energy. A brilliant script, perfectly capturing the reality of the decade – with its unique fashion, lovely music, and dynamic aura – turned the film into an instant audience favorite. 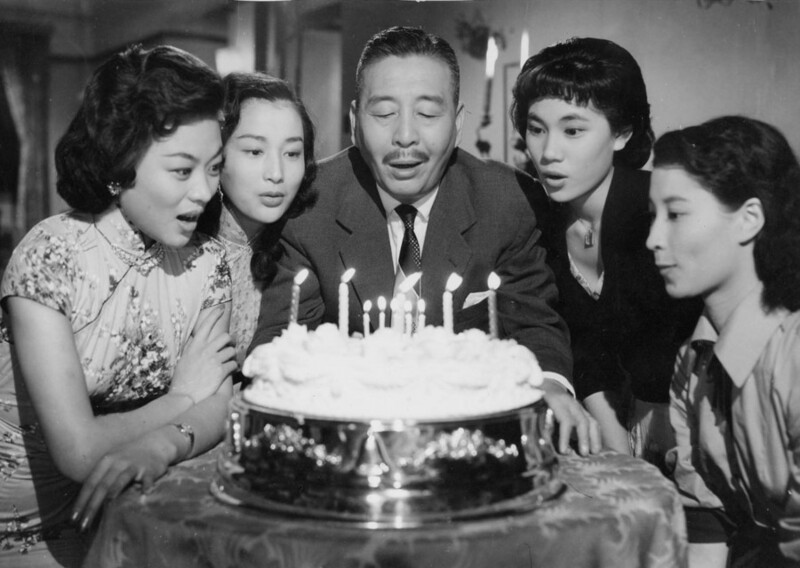 It was soon followed by a sequel ("Wedding Bells for Hedy"), and it is still listed as one of the 100 most important films from Hong Kong. It is a sentimental, subversive production, captivating with its atmosphere and fresh perspective. One of the most important names of the Golden Era in Hong Kong cinema, the 1950s and 60s, specializing in classic melodramas (wenyi pian, formally rooted in the classic Chinese theater) and all sorts of comedies and musicals, although he also made several horrors and thrillers. He worked with the brightest star actors of the time, directing over 50 titles, mostly for the Shaw Brothers studio.